Diamond Select Toys has unveiled Marvel Minimates Series 76, and it’s based on one of the most epic Spider-Man stories of the ‘90s, Maximum Carnage! The Blot was a diehard reader of Spider-Man comic books when this comic book event was released, and I can still remember reading each issue as it came out. 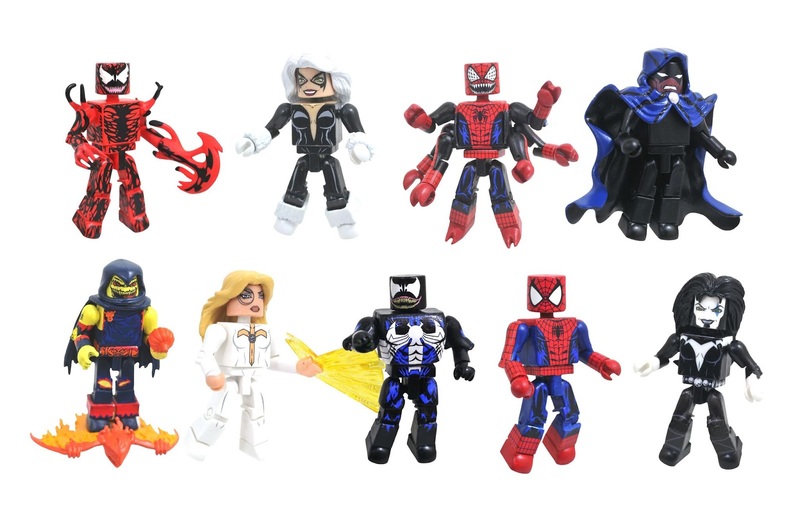 This new assortment of Marvel Minimates mini figures features super heroes and villains central to this sprawling Spider-Man crossover. 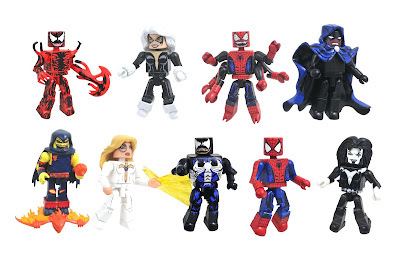 Series 76 includes Spider-Man with Black Cat, Venom with Doppelganger, Carnage with Demogoblin, and Cloak with Dagger. Plus, if you collect all four 2 Packs you get the pieces to build Shriek! Each Spider-Man: Maximum Carnage Marvel Minimates Set includes two 2” mini figures featuring 14 points of articulation and a variety of interchangeable parts and accessories. These 2 Packs will be available at comic shops and specialty stores later this year, but you can pre-order the entire series at Entertainment Earth now here.